Good things really do come in small packages! 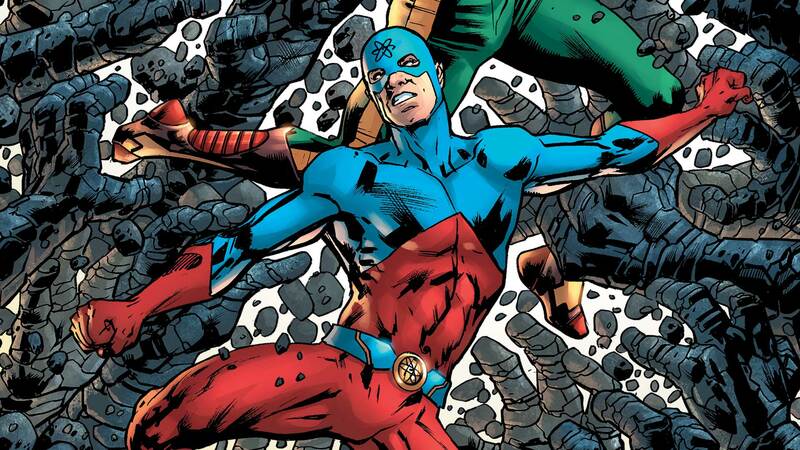 Longtime wingmen Hawkman and the Atom (Ray Palmer) continue their battle against the rampaging Moz-Ga in the depths of the Microverse, and though the heroes have shrunk, the stakes are enormous! That fateful battle leads our heroes to the next clue in Hawkman’s quest, one that will finally reveal the secret of his origin!